Dan Wright has returned to parent club Sunderland after an ankle injury cut short his loan spell at South Shields. The midfielder made four appearances for the Mariners after arriving on a month-long loan in January. The 20-year-old suffered an ankle ligament injury in training last week, which is set to rule him out for a number of weeks. 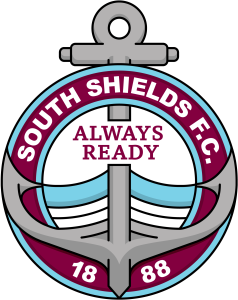 It ended Shields’ hopes of extending his temporary stay at Mariners Park. Joint manager Lee Picton said: “It was just a freak accident where the ball bent his ankle back, and he damaged his ankle ligaments. “He has been one of the bright sparks for us over the last couple of weeks, and we were looking to hopefully extend his loan period. “We’re going to have to put a check on that one now and Dan will have to recover at Sunderland before there’s a possibility of us bringing him back here.